So far, this has been the winter that never was. We’ve had snowfalls, but then mild temperatures and heavy rain have taken it all away. While I’m not a big fan of cold weather, I do enjoy the beauty of snow blanketing the earth, nestled in the crook of a tree and gently tumbling from the clouds. In my morning walk, I found this protected corner of winter, and wanted to share it with you. Isn’t it beautiful? And peaceful. We’ve had some wild weather lately. I’ve been out with the camera along the lake and here’s a memorable moment. 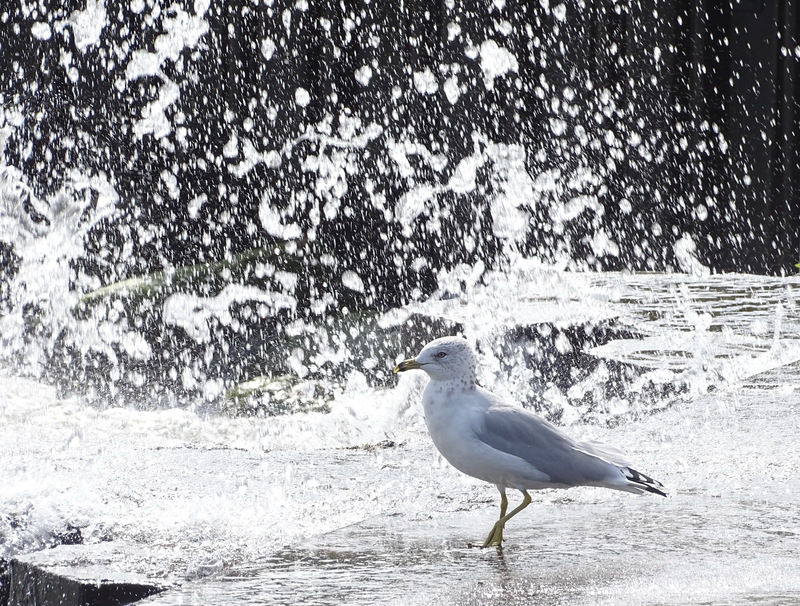 Actually, this seagull was braving the spray from the waves and waiting for the perfect moment to sip from a puddle. It made for a lovely shot!